Dr Gustav Hertz, a barrister by profession and later a senator, and his wife Elisabeth on February 22, 1857 were blessed by a son in Hamburg, Germany who later was known as the discoverer of electro-magnetic waves, Heinrich Rudolf Hertz. He attended a private school and later received private tuitions before he entered the upper form of Johanneum College in Hamburg in 1874. Before enrolling himself in an engineering college, he worked as an unpaid trainee at a construction firm in Frankfurt am Main after which he started studying engineering in the College of Technology in Dresden in 1876. The same year he even joined the military with a railway regiment in Berlin. In October 1877 he continued studying engineering in Munich and at the same time attended science lectures at the College of Technology. Exactly after a year he pursued a degree in physics from Friedrich-Wilhelm-University in Berlin. Two years later he received his doctorate and took up the post of academic assistant at the Institute of Physics. By 1883 he qualified as a university teacher at the University of Kiel and started delivering lectures on theoretical physics. Hertz continued teaching as a professor at the technical school of Karlsruhe from 1885 to 1889 and after that was appointed a Professor of Physics at the University of Bonn. Hertz delineated the electromagnetic theory pegged by James Clerk Maxwell. He verified that electricity can be disseminated through these electromagnetic waves. These waves travel at a speed of light and hog upon having many of the properties of light. These experiments took him a step further and he developed the wireless telegraph and the radio. While carrying out the experiments on electromagnetic waves, Hertz found out that the photoelectric effect ie; the light falling on special surfaces can generate electricity. The unit of frequency of radio wave is named hertz in honor of Heinrich Hertz. This was done in 1930, by the International Electrotechnical Commission. 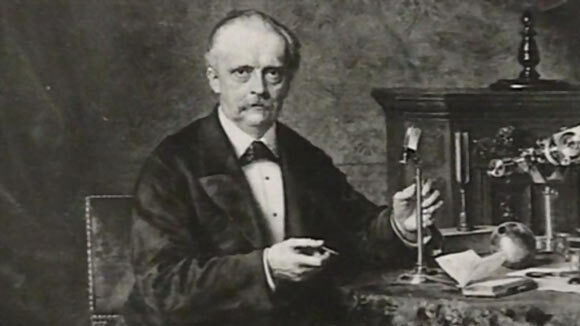 In the earlier years Hertz studied about scientist like Herman von Helmholtz in Bonn, it was this personality driven motivation that led him to attempt to win the science awards which resulted in great discoveries from his him later. He produced a lot of research papers which have been translated and published in three volumes: Electric Waves (1893), Miscellaneous Papers (1896) and Principles of Mechanics (1899). Heinrich Hertz quoted, “I do not think that the wireless waves I have discovered will have any practical application”. But honestly speaking this resulted in beginning of a new “electric age”. In the beginning these waves were nowhere and now they are everywhere. This great German inventor would have made many more contributions to the scientific world but he died at a very young age of 36. He was first diagnosed by a head cold which then turned into an allergy. This caused his health to deteriorate and finally on January 1st, 1894 he died of blood poisoning. He was buried in Ohlsdorf, Hamburg. After his death he was remembered in high words and scientists of that time even acknowledged him for doing what the other physicists of that time could not do. He was not only a copacetic physicist but also was a praiseworthy man. He was regarded well by his friends and his family. Calling him a people’s person would not be wrong.